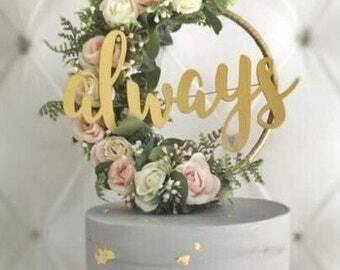 I’m so excited to be able to add these gorgeous floral hoop cake toppers to my ‘Infinity Collection’. They are the perfect finishing touch to your cake, are completely unique and will certainly add the wow’ factor. This design is perfect for Spring. Beautiful, delicate, artificial, yellow, lilac and pink flowers, ruscus, eucalyptus and forest fern adorn one half of the hoop with satin ribbon on the other. The perfect boho accessory. Attached to the centre is a beautiful laser cut word, you can choose from ‘love’ or even have your initials. 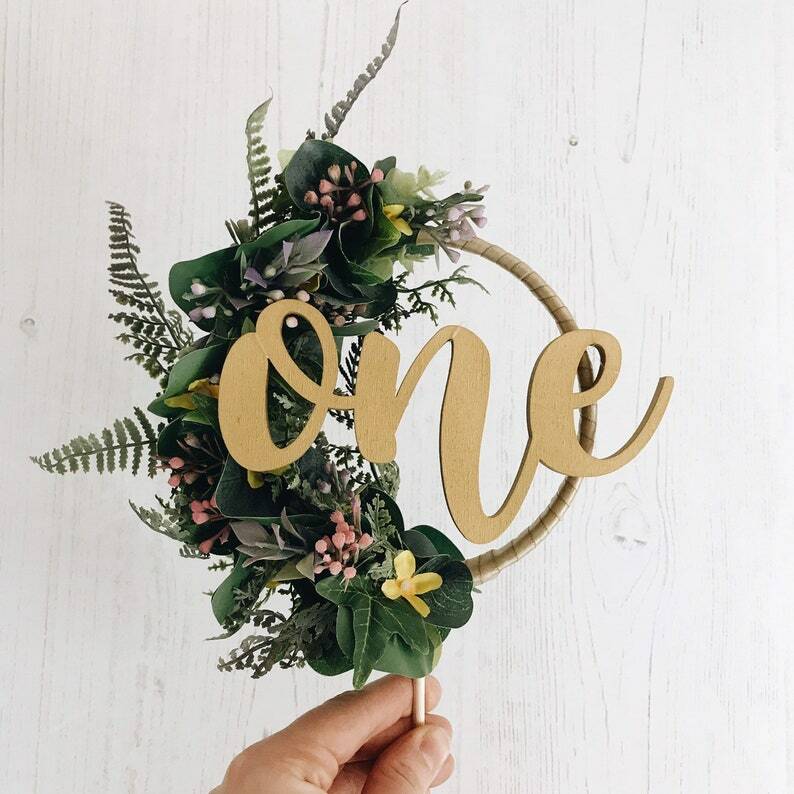 The word can be sprayed in gold, silver, copper or rose gold.